Mind Band® (GMB) procedure is surgery-free. It was developed and perfected by Martin and Marion Shirran, over a ten year period, at the Elite Clinic in Spain, to provide a real alternative to having a surgical, Adjustable Gastric Band fitted. The treatment is now also the subject of the best-selling book written by Martin and Marion Shirran, The Gastric Mind Band, published by Hay House, available from Amazon. Martin and Marion have accumulated close to 8,000 hours of one to one clinical time with weight loss clients, allowing them to constantly improve and perfect the treatment. 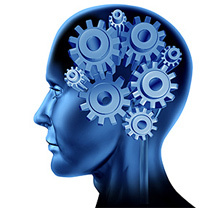 The GMB treatment involves an unique combination of a number of proven, psychological approaches and therapies, including CBT, Time Perspective Therapy, NLP, Hypnosis, Guided Imagery, Mindfulness Techniques and their very own Pause Button Therapy® incorporating TactileCBT®, along with Cognitive Engineering. Each approach is uniquely underpinned by the other, resulting in a highly successful and permanent weight loss solution. You can read a full explanation of the therapies used here. 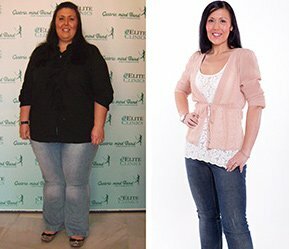 Is it for you…clients like Sarah Hart, see her photo above, whose story has been told in the media world wide lost half her body weight following the GMB treatment, you can read her case study on this site. Other clients arrive at the clinic just wanting to drop a few pounds or drop a couple of clothes sizes, recently the GMB has become the treatment of choice by perspective brides, often being joined by their bridesmaids and siblings, read the dedicated Brides web page here. In addition to the GMB Treatment being available at the Elite Clinic in Spain, it is also available from a small number of selected and accredited therapists and clinics around the world. The GMB treatment is also available via International Home Visits, which are not as cost prohibitive as you may expect, please email the clinic for details and a quotation. 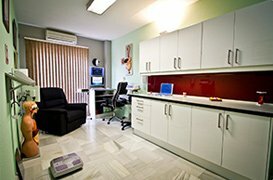 Additionally, for those that for a number of reasons cannot visit the clinic in Spain, the GMB is offered on a one to one basis via Skype, see the Skype Classic and Premier Treatment information on the dedicated page in the treatments section. The GMB therapy is now regarded by many as the ‘Gold Standard’ in its field. Martin and Marion both hold Diplomas in Clinical Hypnotherapy, and are certified and registered with the American Board and British Institute of Hypnotherapy. They are both registered in the UK with the Complementary and Natural Healthcare Council. Martin has a primary certificate in R.E.B.T. (a form of CBT) from Birmingham University, School of Psychology. He is also a member of the United Kingdom Society for Behavioural Medicine and the International Hypnosis Research Institute. The Standard Gastric Mind Band Treatment incorporates four intensive Gastric Mind Band Sessions which are detailed below – The three day treatment has been developed and continually improved over a ten year period and has been undertaken by over a thousand clients. All treatments at the Elite Clinic are carried out exclusively by Martin and Marion Shirran. Since you are an individual, and deserve to be treated as such, your GMB treatment plan is unique and personalised to you. Each of the four sessions is highly structured and designed to prompt you to ask yourself a number of very deep, psychological questions, some of which you might not have previously considered relevant. The aim is to get you to develop a different perspective around your relationship with food and embed new ways of thinking and more helpful behaviours around food, that will allow you to reach your ideal weight without the struggle of constant dieting, and then maintain it for the rest of your life. 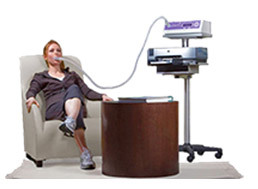 The treatment package includes a full metabolic assessment and a Tanita body fat analysis test. Blood tests and analysis including total cholesterol, HDL, LDL and triglycerides, fasting blood sugar (glucose) levels are included with a combined minimum treatment time of 14 hours. Therapies incorporated include Cognitive Behaviour Therapy, NLP, Clinical Hypnosis, PBT and TactileCBT. Clients are of course provided with digital recordings of each session and the package includes a telephone and a Skype follow up session in the weeks following the treatment. The fully inclusive cost of the Standard Gastric Mind Band Therapy as detailed above is £1,495. The New Premium Full Gastric Mind Band Package. The New Premium expanded Full Gastric Mind Band Treatment Package has become the most popular option with clients visiting the clinic. The Premium Treatment is normally completed over four days. The package incorporates all the components of the standard package, as detailed above, with additional treatment hours added, including additional Hypnotherapy and CBT sessions along with time dedicated to Nutritional and Dietary elements. A full in-depth discussion and explanation regarding the two hormones most important to those wishing to take control of their weight, Ghrelin, the hunger switch, and Leptin, the satisfaction switch, along with suggestions as to how these can be ‘Tweaked’ to the dieters advantage is included. The Premium treatment features an expanded range of blood tests and analysis.These tests includes total cholesterol, HDL, LDL and triglycerides, fasting blood sugar (glucose) levels and Haemoglobin A1c (HbA1c). The glucose result determines blood sugar levels over a very short-term period (the past 24 hours), whereas the additional HbA1c test provides an overall reading of what a person’s average blood sugar levels have been for the previous 8-12 weeks. This is the all-important test used to diagnose diabetes and is helpful to us in guiding a person with issues around certain food groups. The additional therapy hours of Cognitive Behaviour Therapy and Hypnotherapy are of unlimited extended session lengths on each treatment component, this allows where appropriate for a far deeper analysis and explanation of any past events or situations that may have impacted on a clients weight gain. Clients are provided with a set of six professionally recorded Audio Files covering their Gastric Mind Band treatment, along with a personalised recording of one of their sessions. Clients also receive a copy of our comprehensive GMB Therapy manual, a set of unique weight loss tools, plus signed copies of the books ‘Shirrans Solution the Gastric Mind Band’ and Pause Button Therapy as published by Hay House. All clients undertaking the Premium Treatment Package benefit from multiple additional, completely complimentary, Skype follow up sessions in the comfort of their own home during the weeks following their treatment. Clients selecting the Premium treatment are also invited to re visit the clinic for a full complimentary adjustment session, which can be taken at anytime in the nine months following the completion of their Premium GMB Treatment.. The fully inclusive cost of the Premium Gastric Mind Band Package as detailed above is £2,295. Is it really possible to convince someone that they have undergone a surgical procedure when, in reality, they haven’t, or to be able to change someone’s lifelong habits? If you are intrigued and wish to read and understand the process in more detail please visit the How It Works Page.